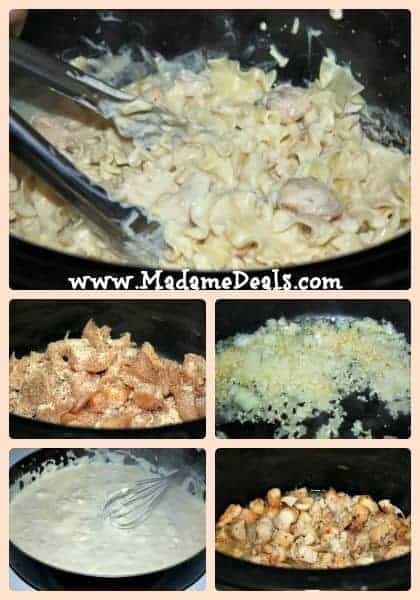 How yummy does this Low Calorie Crock Pot Meals: Cream Cheese Chicken Pasta look?? At only 410 calories a serving, this is the perfect meal to make when you are craving some comfort food, without undoing your whole diet! Cut your chicken into bite sized chunks, add them to your crock pot. In a sauce pan, add a little bit of olive oil and heat over Med/high eat. Add chopped onion and garlic and let it brown. Once your onion has browned add your cream of chicken, chicken broth, and cream cheese (cut into cubes first) cook until melted. Pour sauce over your chicken and cook for additional hour. Pour in your choice of pasta and mix well. Serve warm! There you have it! 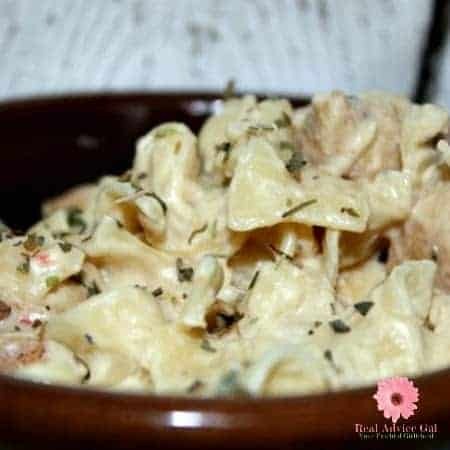 Low Calorie Crock Pot Meals:Cream Cheese Chicken Pasta! This meal is great for cold winter days, and makes your house smell amazing while it cooks all day! It also keeps in the fridge really well for a few days, so you can cook it in advance! 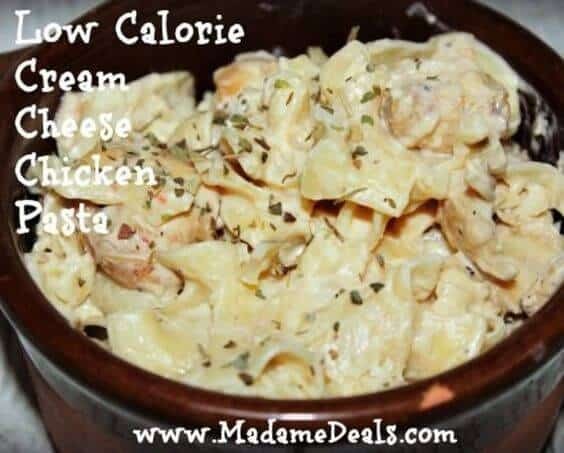 Do you know what would go perfect with this Low Calorie Crock Pot Meals:Cream Cheese Chicken Pasta? Monkey Bread..made with cream cheese!! 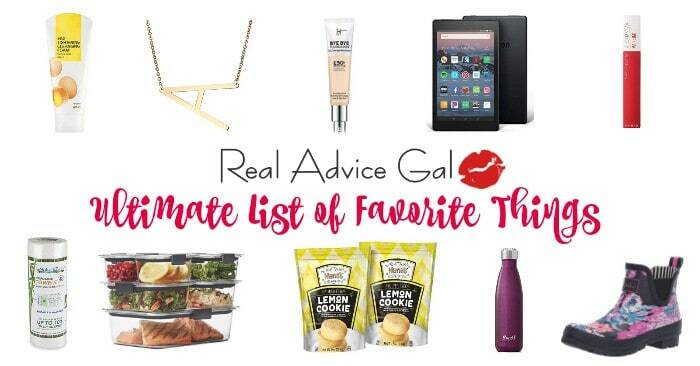 What are some of your favorite Low Calorie Crock Pot Meals? ?